I know three things about mushrooms. Some of them are delicious. Some of them are poisonous. All of them are fun to paint. 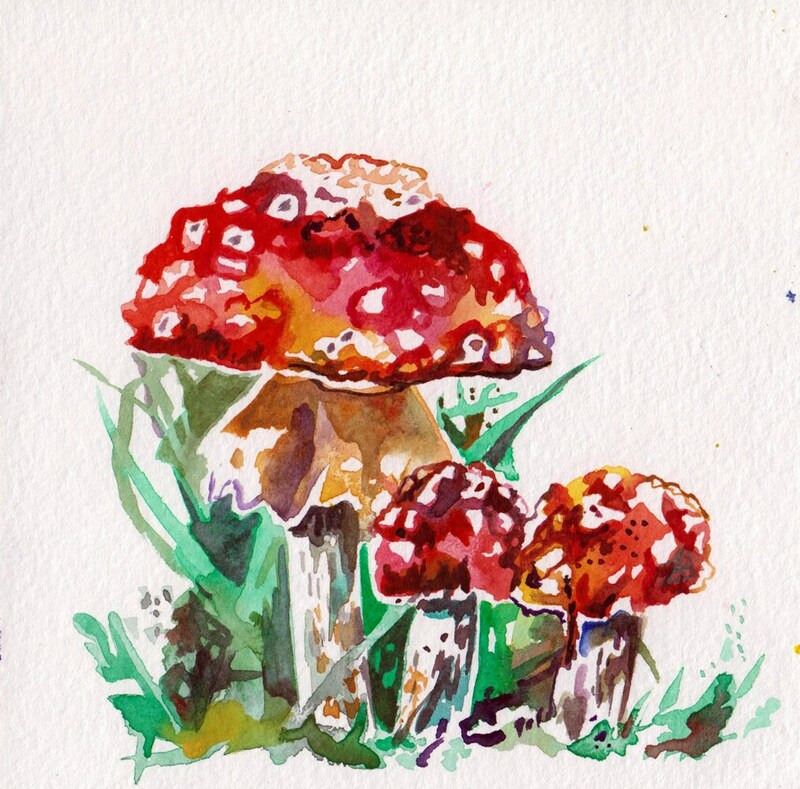 The above watercolor painting of red mushrooms is sure to bring life to any room. It is a clean and whimsical one of a kind piece. I envision this work of art in a kitchen, but where do you see it hanging? 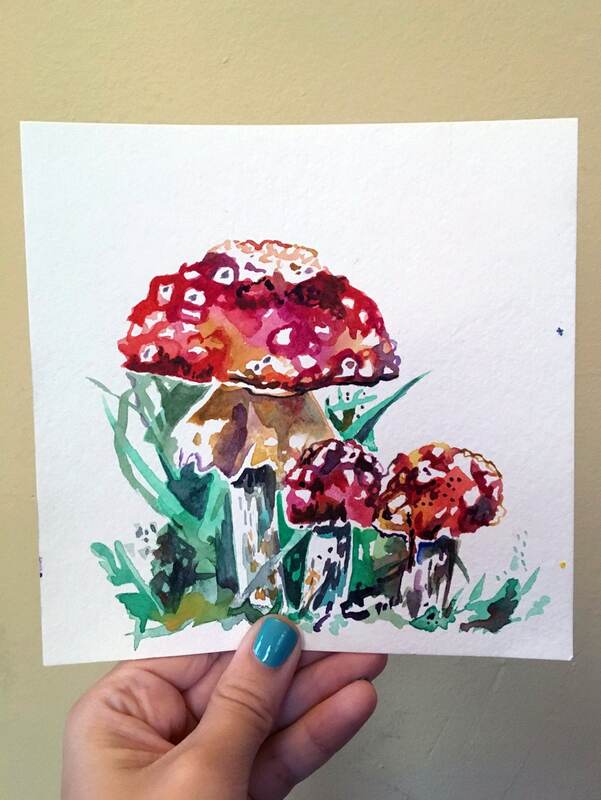 This listing is for the painting titled "Red Mushrooms." It is a traditional watercolor painting on paper. It measures 6 inches by 6 inches (15.3 cm x 15.2 cm).